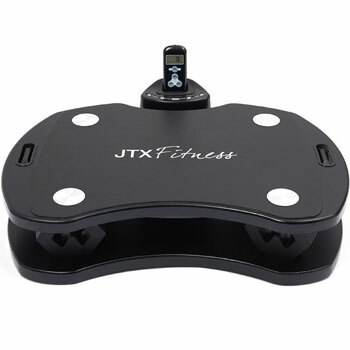 Vibration plates are an interesting tool for an alternative road to toning and weight loss. They are not exercise machines in the same sense as a treadmill. But, that doesn’t mean that they aren’t useful in a wider exercise regime. Those that are new to vibration plates may wonder what all the fuss is about. So, it helps to learn a little more about choosing the best plates for the job. The first place to start here is with the size and shape of the machine. There are two different styles of vibration system out there. There are some that have towers where use can hold onto handrails and use a larger console – much like other exercise equipment. Then there are those that are basically just the plate and motor, with no tower, console or support. There are pros and cons to both options and you have to consider the space and needs. 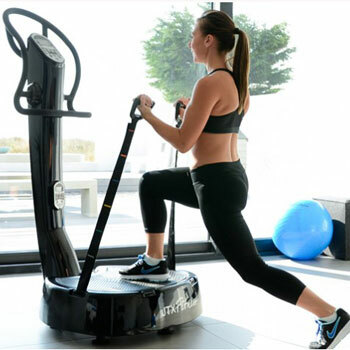 The tower models are great for those with the space to work out as they provide a more sturdy surface and a more professional looking machine. the weight – will it be too heavy to pick up and carry? the dimensions – is this plate taller and wider than it looks in the sales photos? handles – are there carry handles on board to help with portability? transport wheels – can you roll it into place and are these wheels secure when the plate is in motion? That motion of the vibration plate is also important for the right workout. There are different motions on different machines. Some provide vibration, some oscillation and others a combination of the two. You need to think about the type of workout you are after. Is this slow, gentle motion for a little toning and rehab, or something intense for more extreme results. These plates are popular with some disabled and infirm users as a way to aid weight loss. Those that want a gentle approach don’t need the 3-in-1 model with oscillation and other effects and 100 different speed settings. Others will love the idea of all that room to progress if it will melt the fat a little faster. Are there any other aids for the workout? The next thing to consider in this vibro plate guide is the inclusion of any extras in the box. Some brands will provide resistance bands as part of the package to help with arm exercises and workout diversity. How tough are they? How easy is it to connect and use them? Others will offer workout posters or a DVD. How informative are these features and are they easy to follow. It is important to remember that while some brands will offer these in the box. Others are sold separately. Be careful when browsing the sales photos. Finding the best vibration plate for your needs. While vibration plates may look quite simplistic on first glances, there are many different features and settings. As you can see from this guide, it pays to take the time to figure out precisely what you want it to do. Remember that a powerful, feature-rich machine could be intimidating and difficult to master, while a gentle, basic model could be ineffective. Take the time to compare specifications and understand what is really on offer here. This means the extra features as well as the settings. Also take the time to read plenty of testimonials on the user experience. This research should lead to the idea machine for your home and fitness needs.